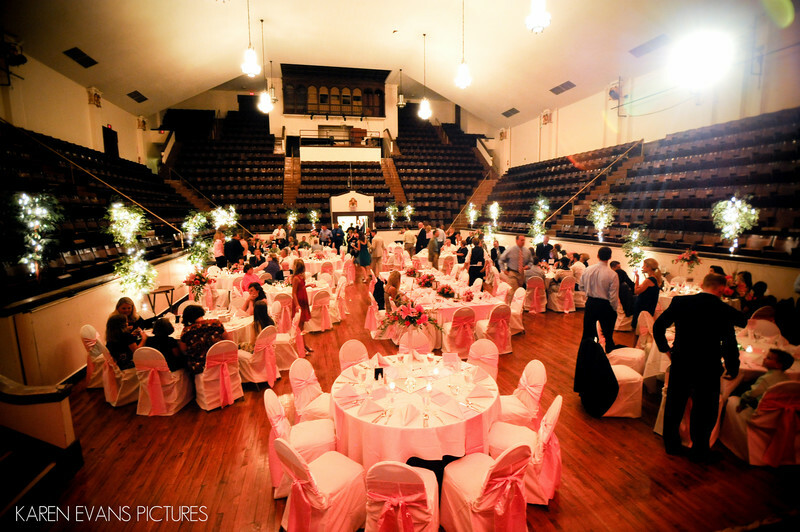 This is the set-up for Michelle and Mike's wedding reception in the Large Theatre at The Columbus Athenaeum. It was very pink, which, I love pink, and it just makes the tables glow. I loved this color scheme for that very reason.Keywords: columbus athenaeum (105), columbus athenaeum large theater (42), downtown (246).